Renowned for its huge textile industry, Coimbatore is a city that is yet to be explored by tourists. Often times, it is overlooked and only treated as a stopover for travellers heading to Ooty or Kodaikanal, however, the ‘Manchester of South India’ has its own set of attractions which are worth your time. From yoga and meditation centres to breath-taking waterfalls, there are plenty of tourist places in Coimbatore you will love spending hours at. Moreover, if you plan to spend a day or two in the city, there are always the big shopping malls with food courts and big entertainment venue. Complement your day of shopping extravaganza with a hearty dinner at some of the best restaurants in Coimbatore and you are done. One of the oldest and best shopping malls in Coimbatore, Brookefield is not only a shopping destination but an entertainment and food destination as well. Opened in the year 2009, the mall has been constantly expanding and creating more space for high-end retailers all the while maintaining the essence of the city. Complete with six screen multiplex cinema and a food court offering a variety of delectable cuisines and fast food, you can easily spend an entire day here with your friends. Some of the stores worth checking out at Brookefield are Park Avenue, Marks & Spencer, Gini & Jony, American Tourister, Lifestyle, First Cry, The Body Shop, Westside, Jockey, Pantaloons and Louise Phillip among others. For people who want to sit at a restaurant or a cafe and catch up on conversations with their friends, there is your usual Subway, KFC, McDonald’s, Pizza Hut and Keventers. Of course, if you want to dine at a proper restaurant, there are plenty of those too. Being one of the top shopping malls in Coimbatore, it has been built on a space of 4.5 lakh square feet of area and houses around 120 shops selling everything from apparels to electronics. The mall also has ample parking space and Wi-Fi. 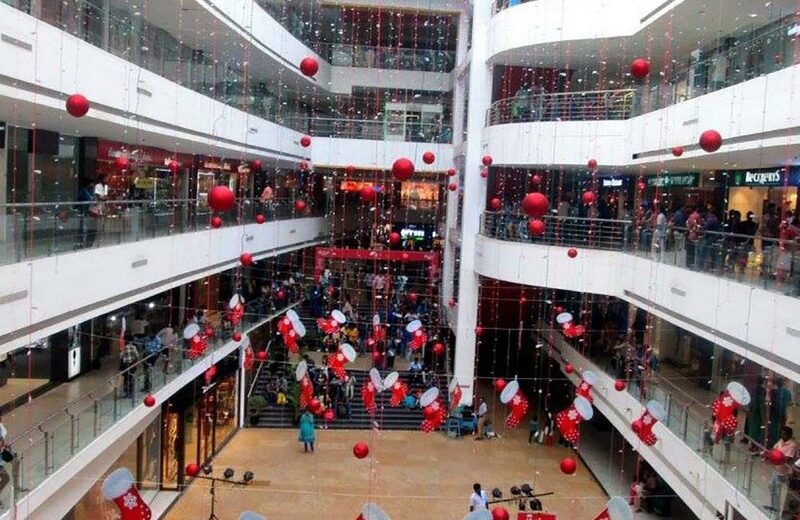 It is also popular for hosting several events round the year which also led to it being awarded ‘Most Number of Mall Events, South Zone’ in the year 2016. Another award with which it got bestowed is the ‘Best Marketing Intellectual Property of the Year, South Zone’ in the year 2017. So, if you don’t have any place to visit in Coimbatore, fret not because this mall can easily take up your entire day with its vast arrays of shops, food and entertainment options. 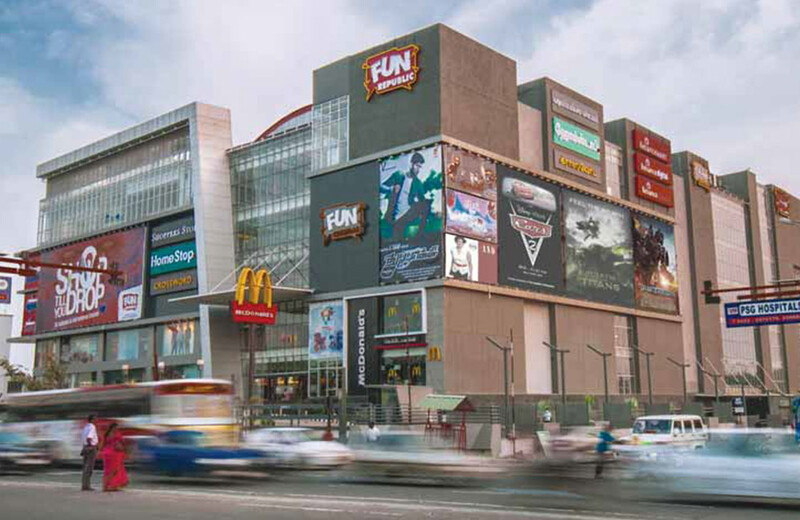 Built on a sprawling 5.25 lakh square feet of area, Fun Republic is officially the biggest mall of Coimbatore. While you can find a lot of stores and food outlets, the main highlight of this 6-level shopping mall is its anchor store – Shopper’s Stop spread over a large area. The mall also has a 5-screen multiplex managed by Cinepolis to cater to all the movie buffs out there. And after shopping and watching your favourite movies, you will never run out of space to sit in and gorge on some burgers as it has umpteen dining options. Some of the popular brands you can find here include Adidas, United Colours of Benetton, Reliance Digital, Lee, Nikon, Yamaha, Inc. 5 and more. While you might not find a lot of high-end restaurants, you can be rest assured to find shops and kiosks for almost every kind of food you wish to gorge on. For people who keep complaining about congested parking space in malls, Fun Republic has a multi-storey parking lot. 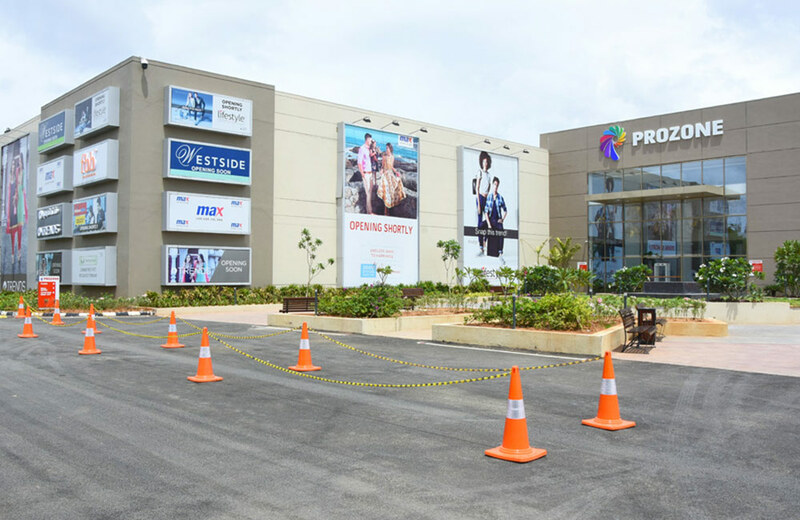 Opened in the year 2017, Prozone is a new shopping mall in Coimbatore. Built along the new trends and fads in the retailing and entertainment segment, the mall will keep you on your toes the entire day. Housing approximately 140 international and national brands (and counting) for all your shopping needs, the mall opened up a 9 screen INOX theatre in August 2018. Apart from this, it has a large food court with plenty of fast food outlets, dessert parlours and quick bites kiosks for the hungry soul. While the major construction of the mall is already completed, it is expanding every year to accommodate the increasing number of visitors. Apart from these malls, there are of course various shopping complexes around Coimbatore and if you wish to hunt for the perfect silk or Kanjivaram sarees, then you can find those easily here. Coimbatore is not a commercial city yet and that kind of adds to its charm. Even if it has three shopping malls, the nightlife of Coimbatore and its various high-end restaurants are enough to keep you going for an entire day. But if you still feel like you belong to the hill stations, our guide of lakes in Kodaikanal and Ooty will be of real help to you. Happy Shopping and Tripping to all the wandering souls out there. On a concluding note, if we missed out anything, do let us know.